This gorgeous intricate shawl pin is a 5 ring interlocking design. 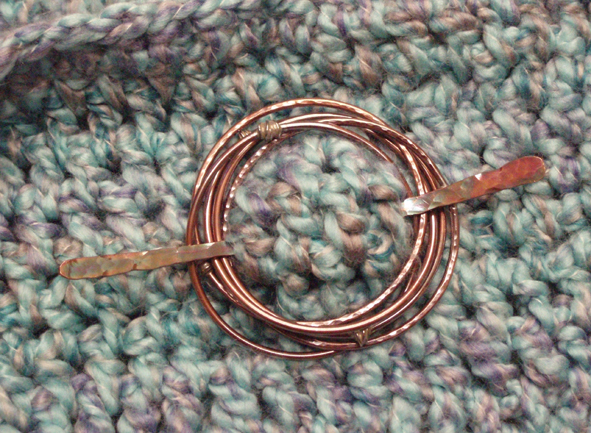 The circles are soldered 12 gauge and 10 gauge copper and the stick pin is 10 gauge copper. This heavier gauge pin is designed to secure a heavy shawl without distorting the pin or the shawl compared to most other pins on the market. The copper is hammered and work hardened then tumbled to bring out the luster of the patina.